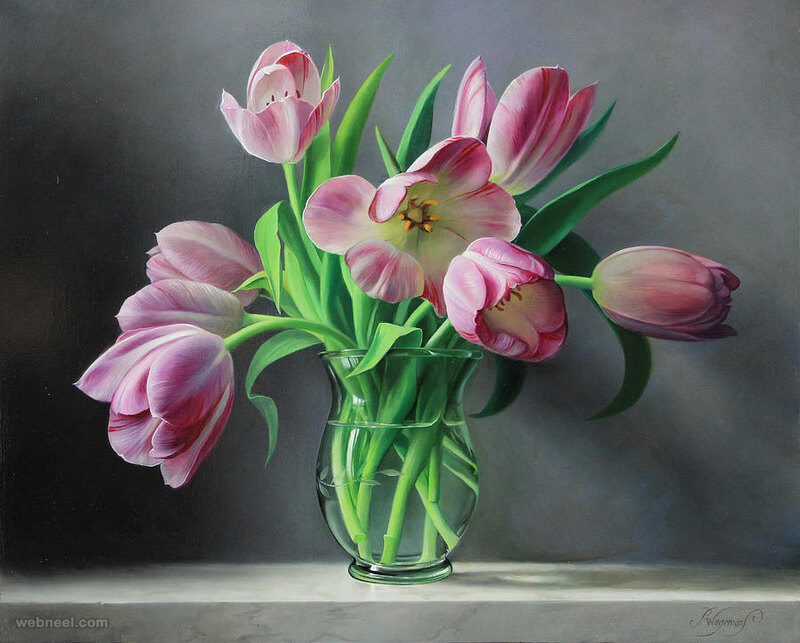 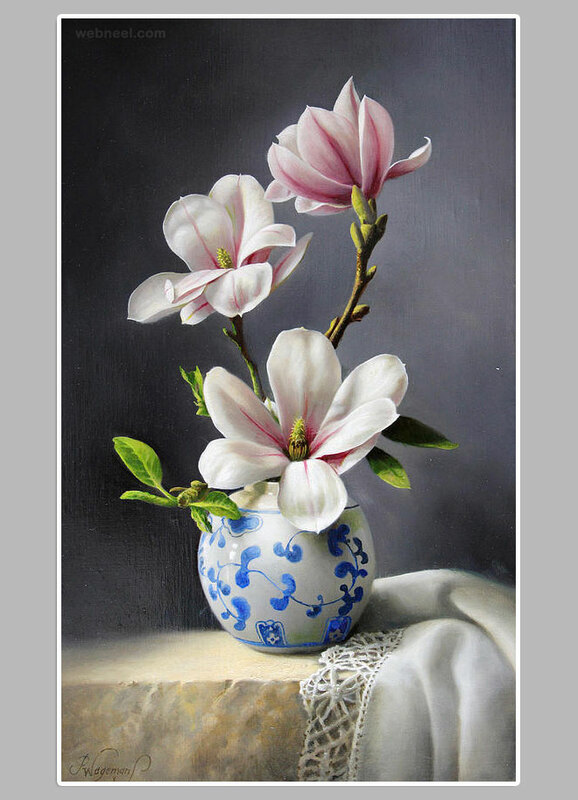 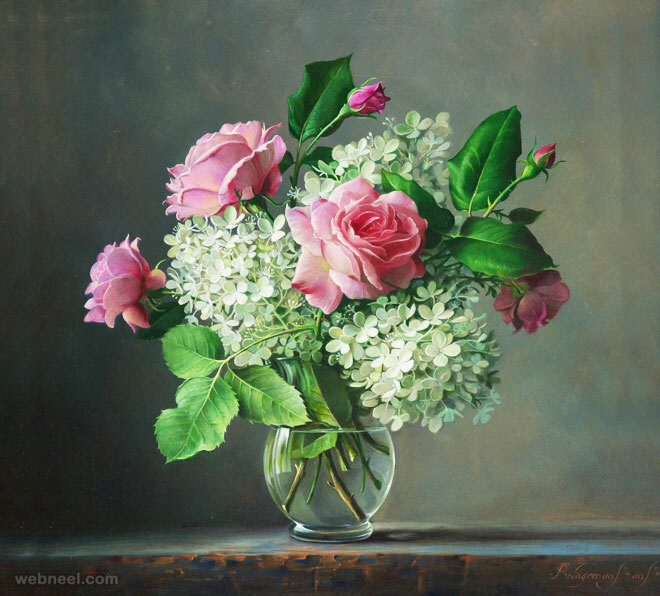 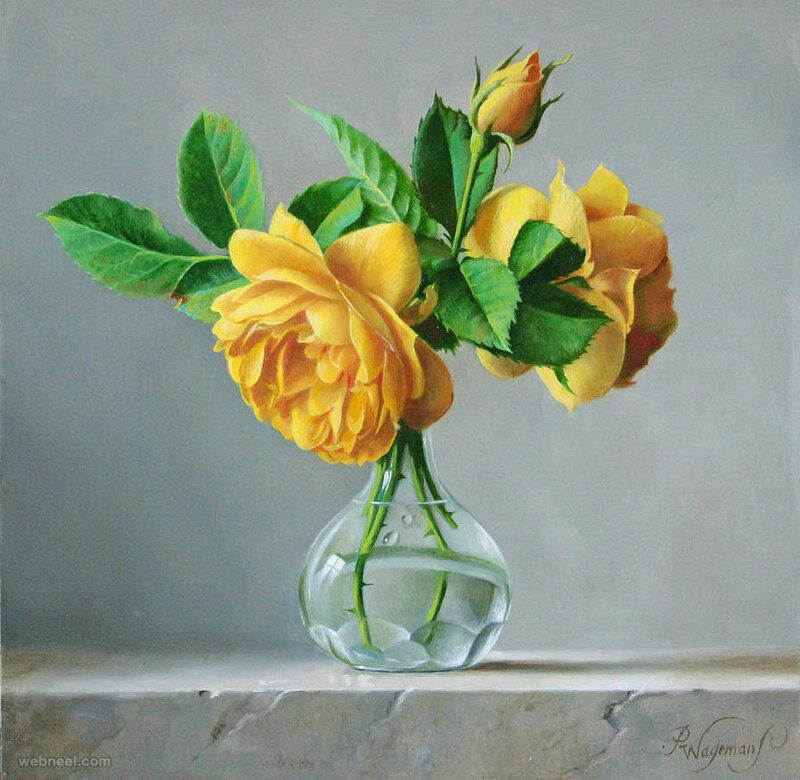 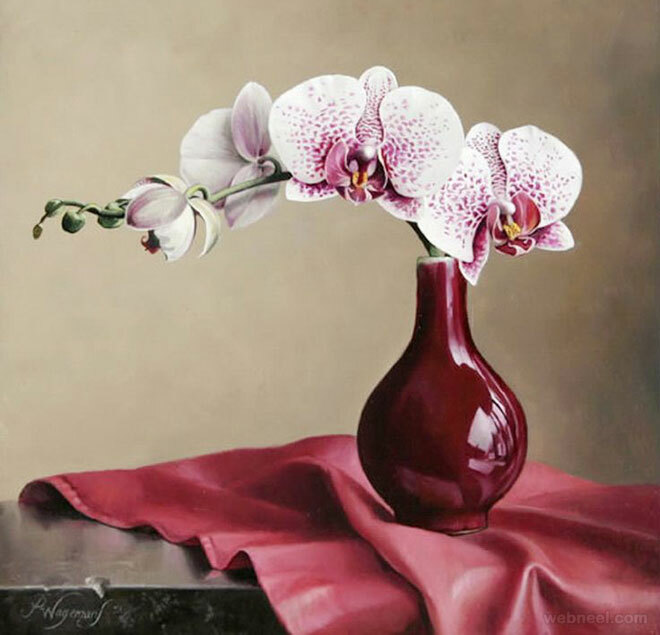 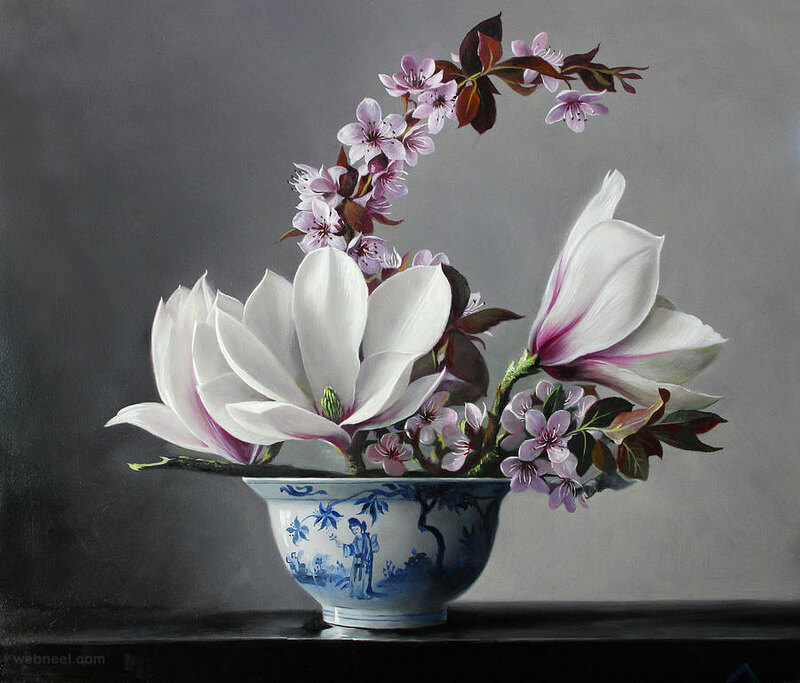 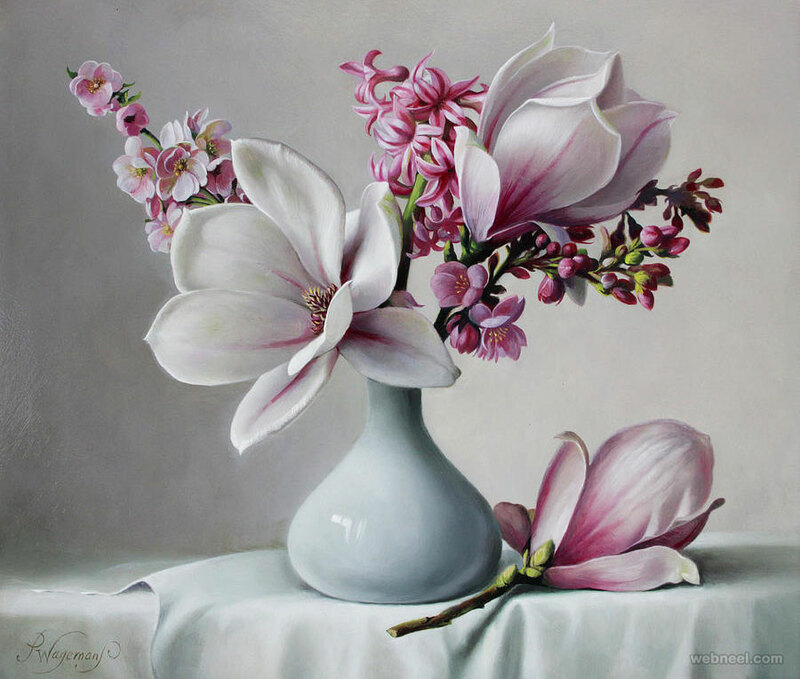 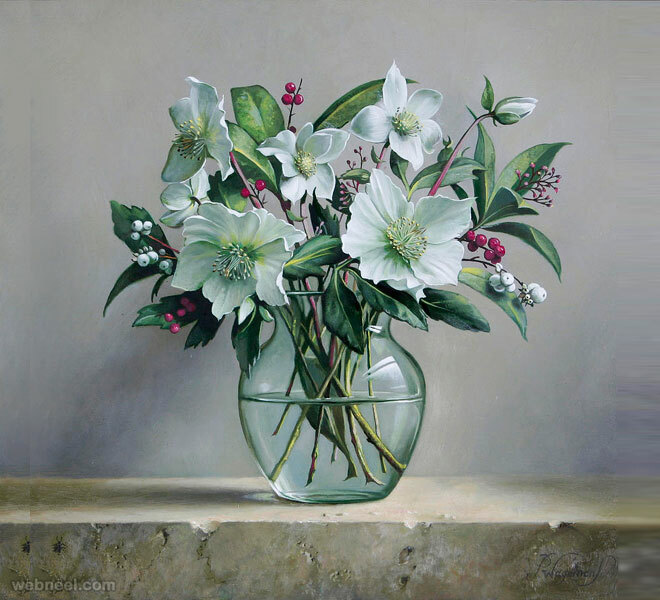 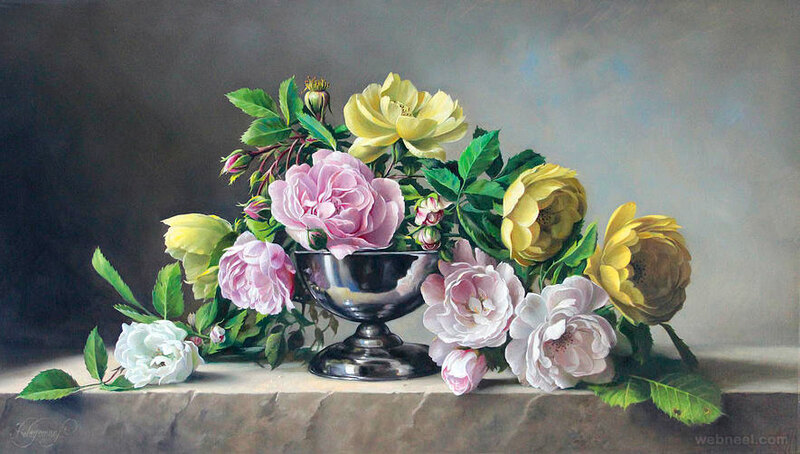 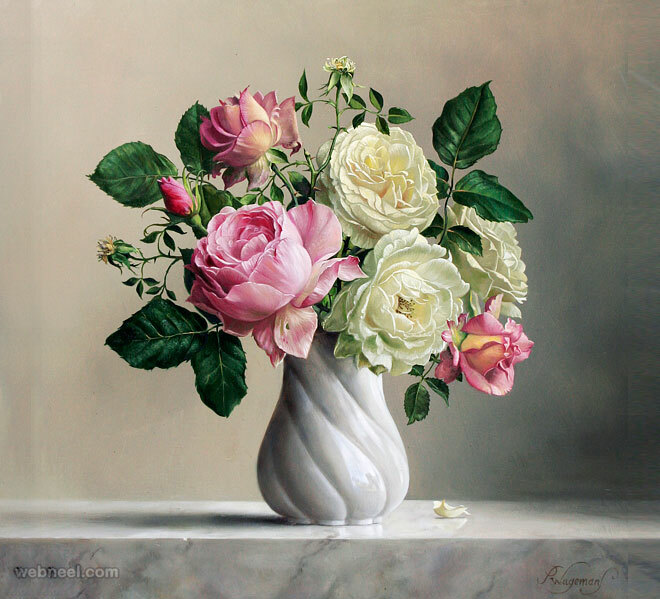 We have put together a fine collection of hyper realistic flower paintings by Pieter Wagemans. 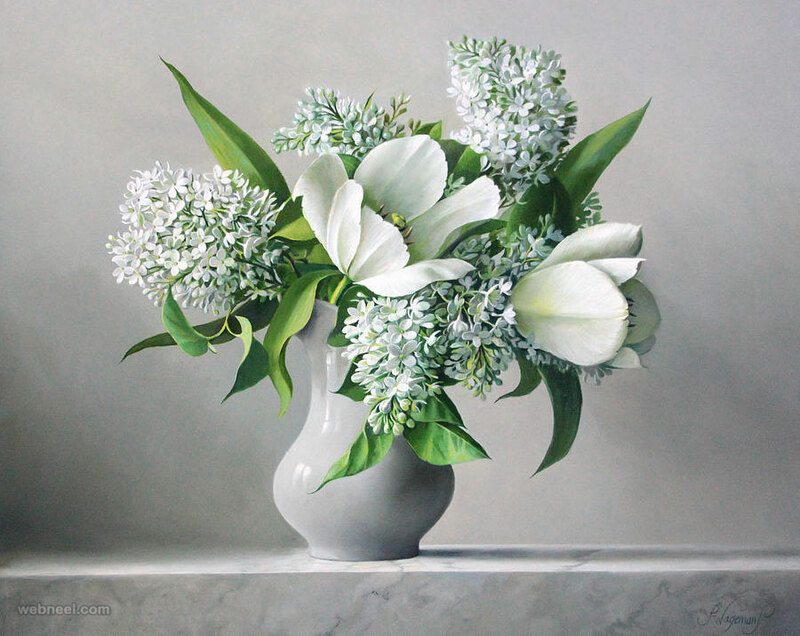 Artist Pieter Wagemans was born on 11th August 1948 at Belgium. 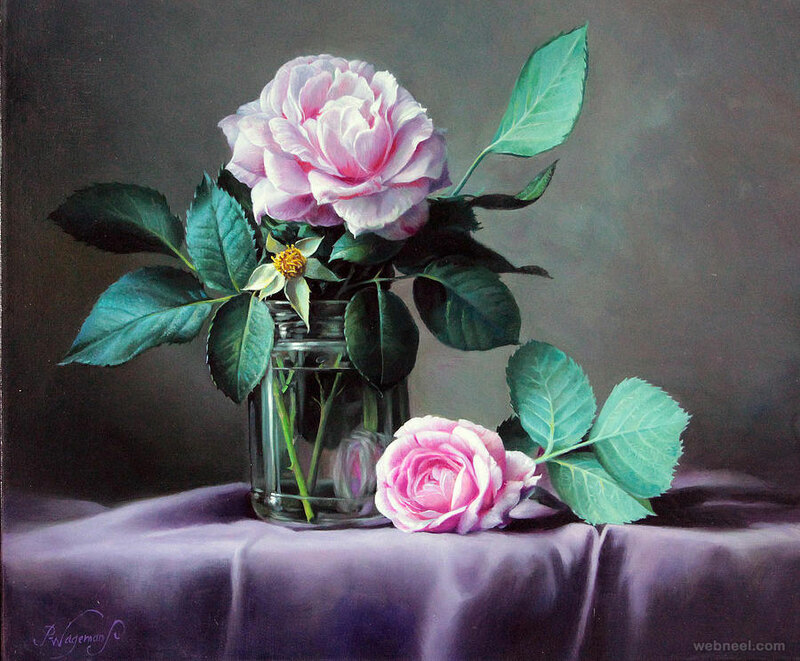 He is well known for his contemporary and fine art style. 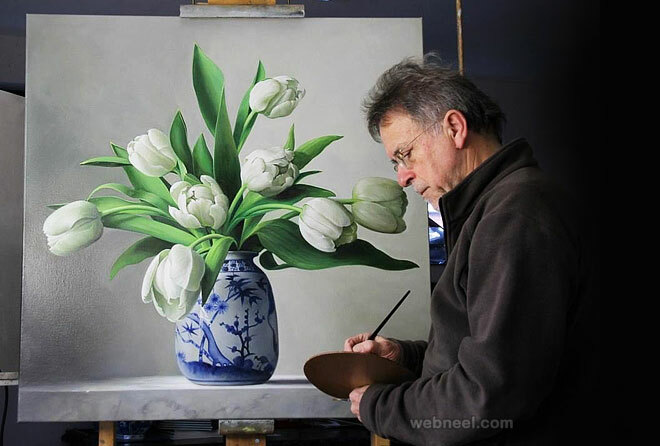 He enjoys creating classics and still life paintings. 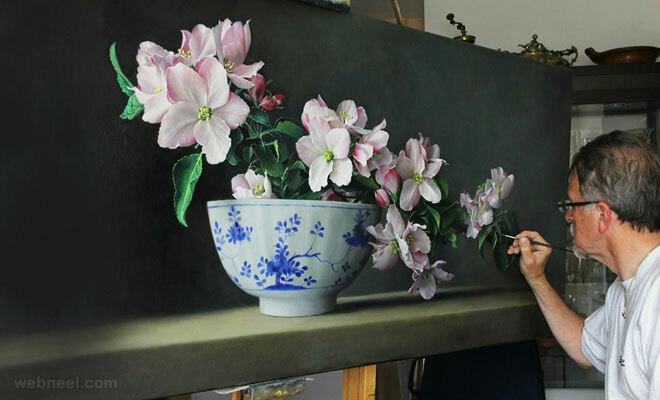 To this date, you can find many of his flower oil paintings in the ceilings of Antwerp buildings. 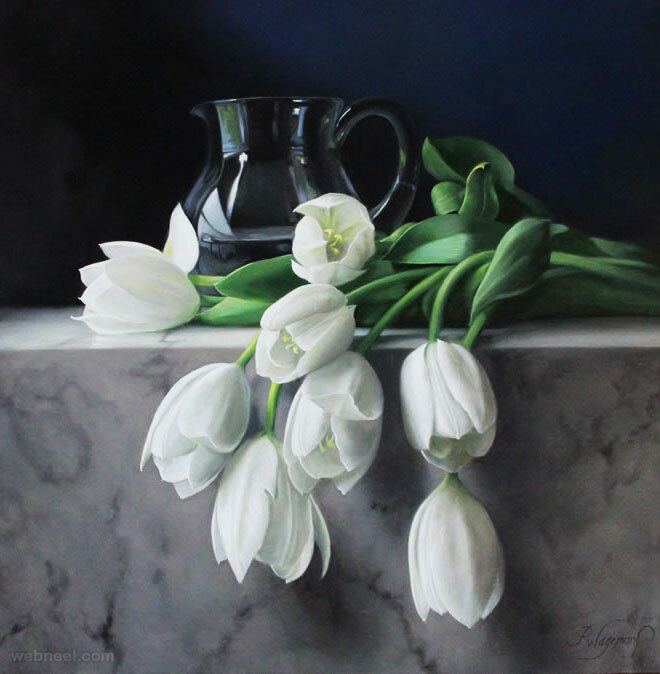 Art came naturally for Pieter Wagemans, since his father was an artist too. 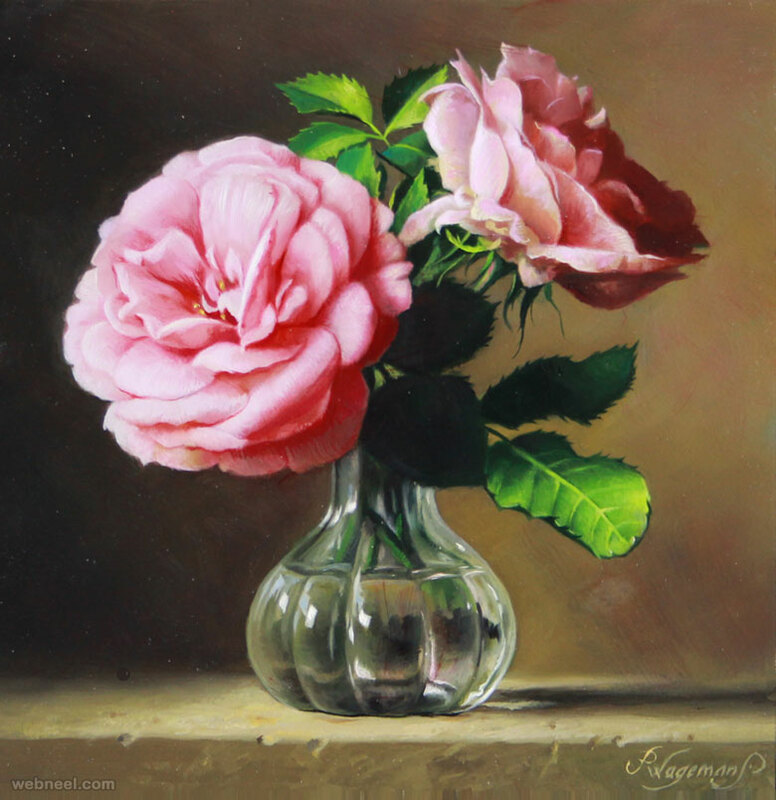 At an young age of 15, he enrolled himself into the Royal Academy of Fine Arts in Antwerp and enhanced his skills further. 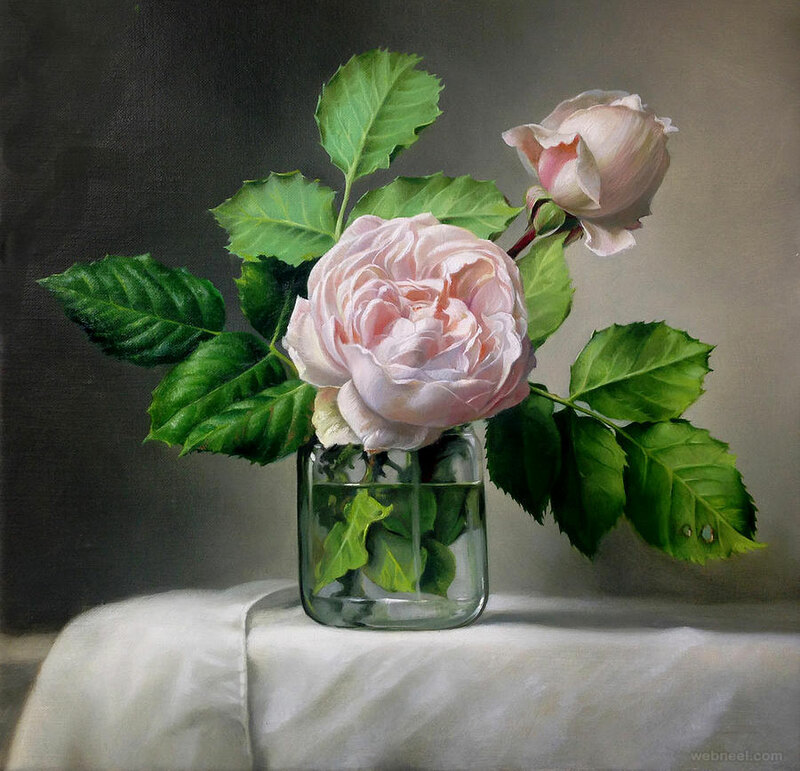 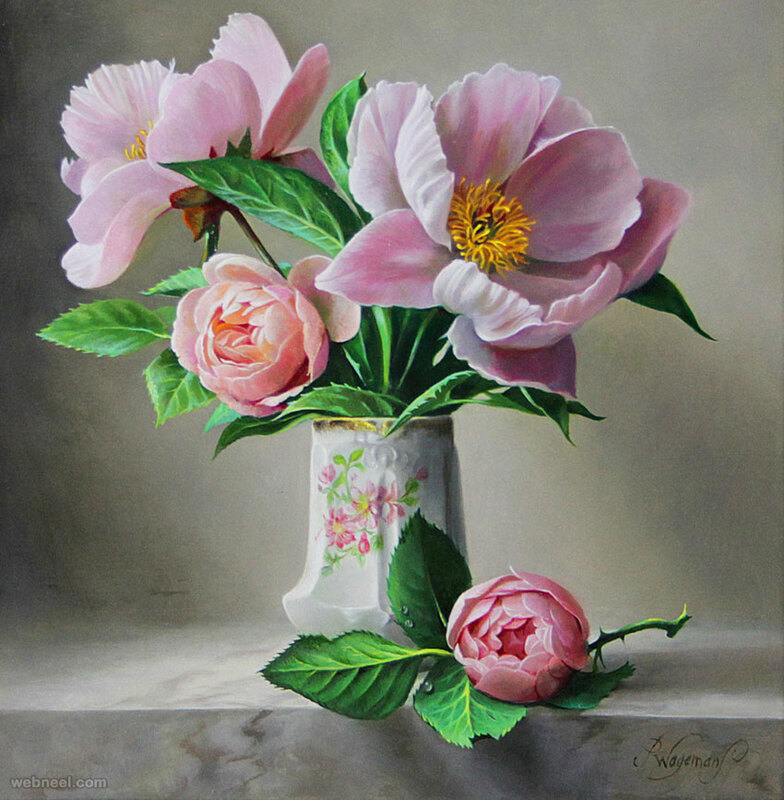 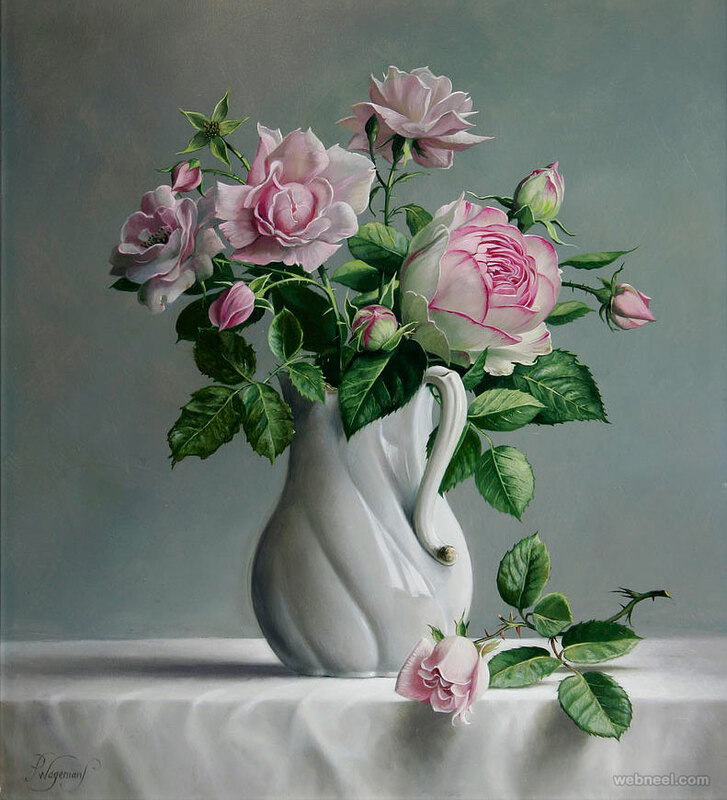 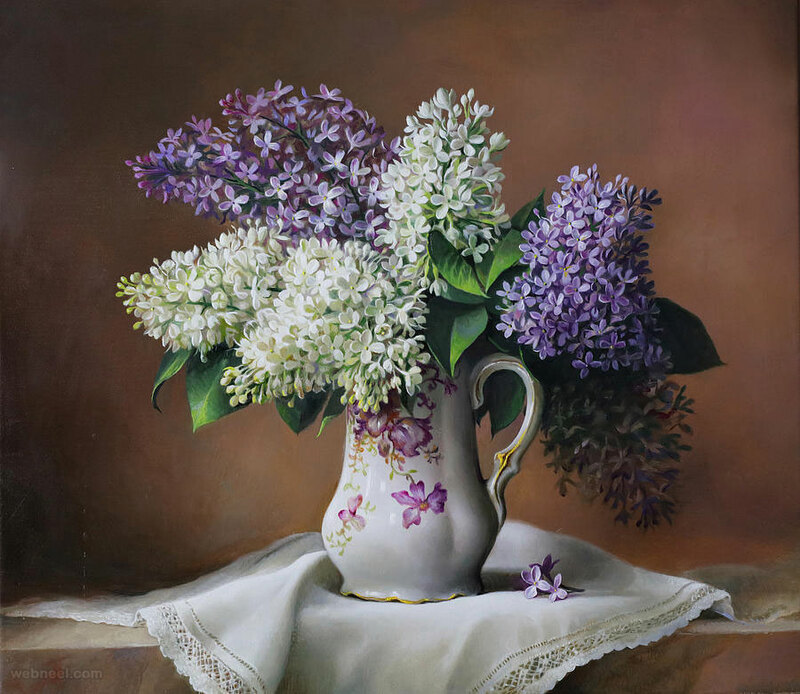 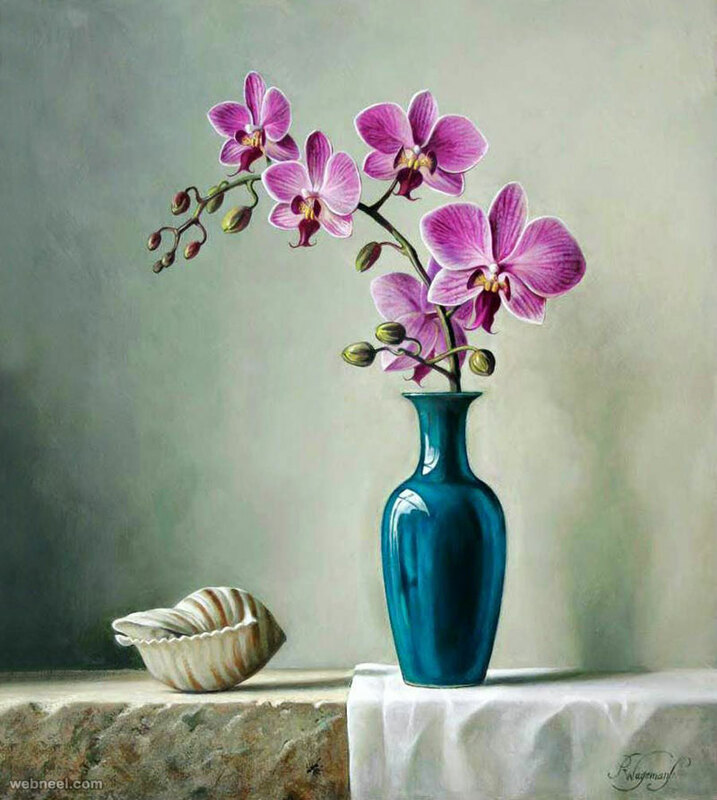 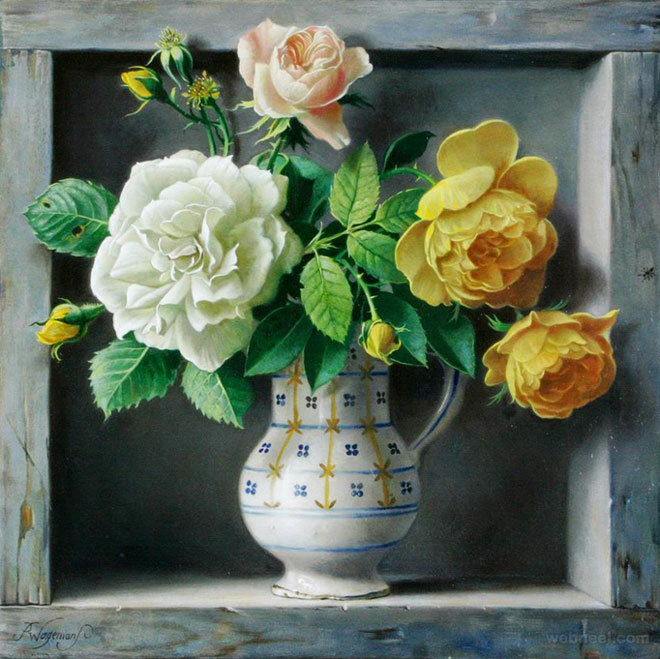 Most of his still life paintings have imaginary landscapes with a soft glow of the sun, which makes his flower paintings quite unique. 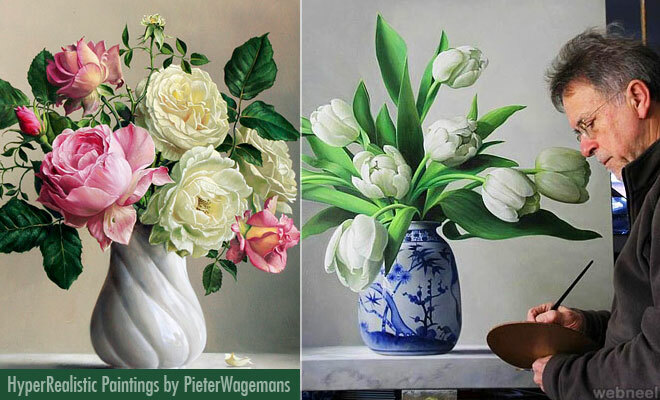 According to Pieter Wagemans, Fine art,"is more a character trait than a conscious style". 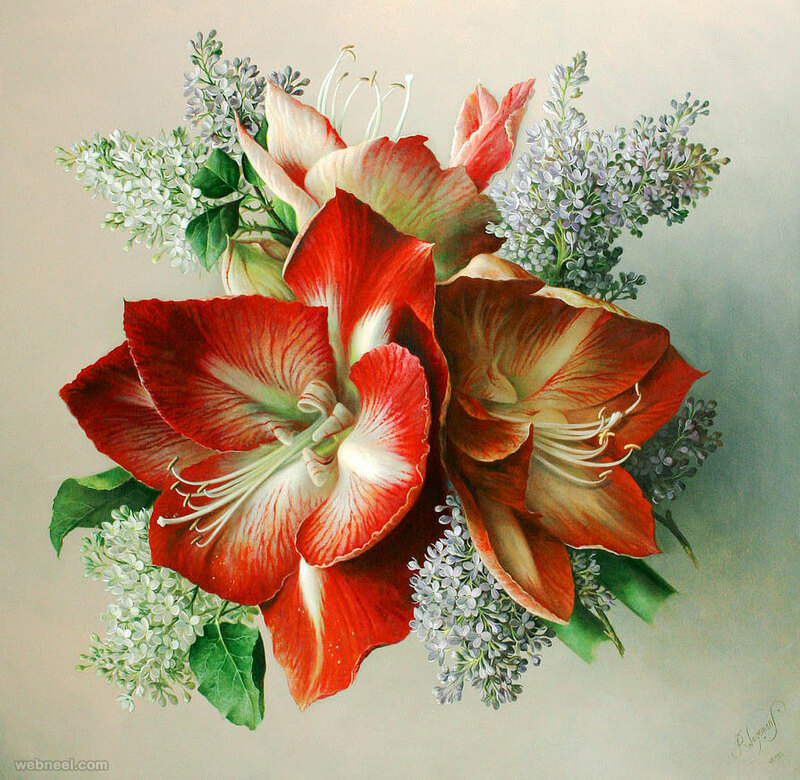 He enjoys exploring different depths, expressions and style using flowers and a mixture of colors. 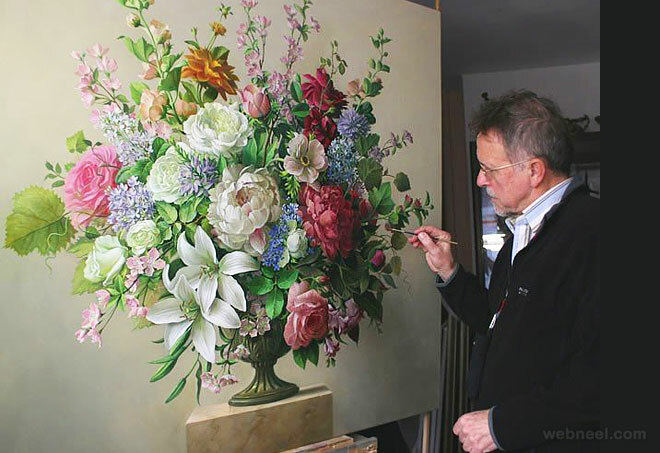 Most of his flower artworks are on different kinds of roses.